Whether you love all the media these creatures appear in or not, there’s no denying that the Predators (also called Yautja or Hish-qu-Ten) are some of the most awesomely designed creatures of sci-fi. Brothers Jim and John Thomas had an idea in 1984 for a film that borrowed elements from Richard Connell’s story The Most Dangerous Game as well as some blockbuster sci-fi movies such as Alien and Star Trek. That being said, their concept, or at least its execution, was quite original: a nearly invincible game hunter from outer space sets down upon planet earth and stalks the most dangerous humans around. The original film oozes testosterone and holds up as an exciting experience for viewers even 30 years after its release. The film’s actors included bodybuilder Arnold Schwarzenegger and wrestler Jesse Ventura–and it pretty much had to include people like this, for if it had been regular people being hunted, it would have just been too easy for the Predator. The alien for the film originally looked quite different. It was a lanky, dog-faced creature that looked pretty similar to the generic space aliens of B-movie lore, and director John McTiernan wasn’t satisfied with its design. Schwarzenegger recommended the now-legendary special effects maestro Stan Winston, due to their previous work together on The Terminator. The result was a design like nothing seen before…armor, wrist blades, dreadlocks, a fear inducing mask, glowing green blood, and a mouth that rivaled the Xenomorph’s for the cool factor. The design was both primal and original, aside from some slight similarities to the Klingons of the Star Trek films. In what initially appears to be a case of cinematic convergent evolution, two separate mediums executed an obvious yet still brilliant idea—combining H.R. Giger’s Aliens with the Predator creatures for an all out war. In truth, Dark Horse Comics brainstormed the idea before 20th Century Fox did, with creators Chris Warner and Randy Stradley toying with the concept in Dark Horse Presents before releasing the first proper AVP issue in 1990. 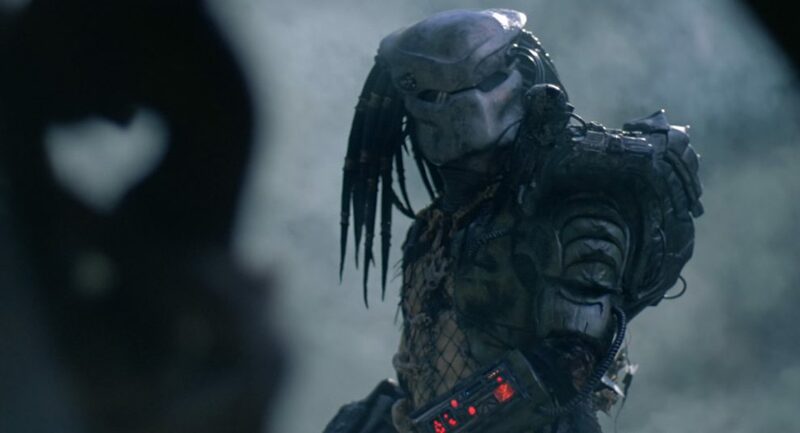 Around the same time, the Predator movie sequel was in the works and as a nod to Dark Horse, the filmmakers included a scene where Danny Glover’s Harrigan character comes across a trophy Xenomorph skull within the Predator ship. Thus spawned the inception of “development hell” for an AVP movie for over a decade. 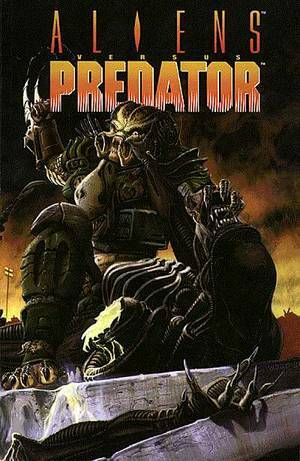 In the meantime, Dark Horse continued its AVP universe with multiple storylines and crossovers. The Yautja and the Xenomorphs faced off against the Terminator, Witchblade, various superheroes, Judge Dredd, and many others. The original storyline featured Machiko Naguchi, a human female who impressed the Predators enough for them to conscript her into hunting with them. Her story was continued with Aliens vs. 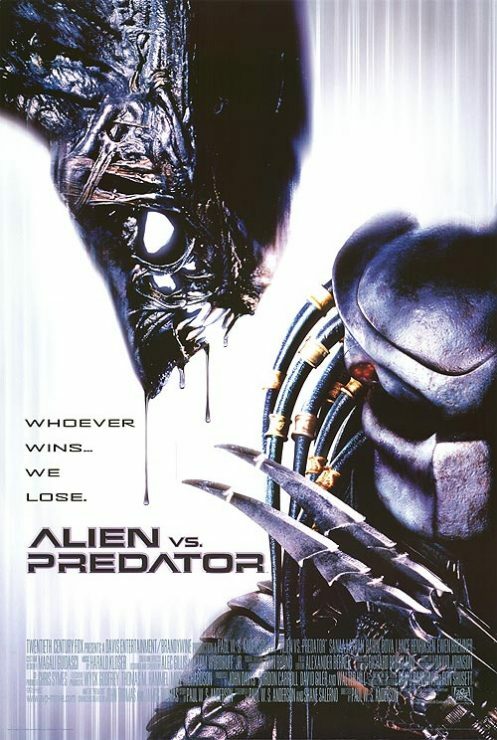 Predator: War, Aliens vs. Predator: Three World War, and various novels. Dozens of prose novels for both Predator and Aliens vs. Predator have been released over the years, adding even more meat to this already muscular franchise. Directed by Stephen Hopkins, this 1990 film was a grittier, nastier sequel that sought to top the original Predator’s success with excessive gore and brutality. While gang lords terrorized the streets of Los Angeles, a police officer named Mike Harrigan (played by Danny Glover) was tasked with bringing down the crime of the city. His job became even more complicated when a lone Predator set down upon the city, hunting within the urban jungle for some of the most dangerous prey in the galaxy. 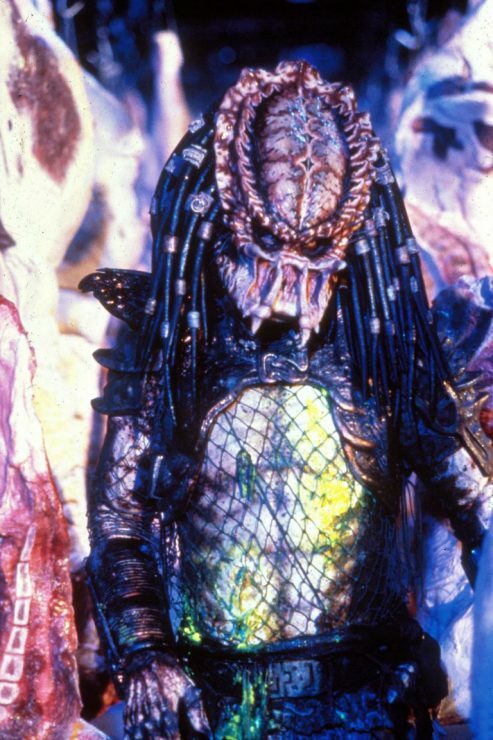 Stan Winston once again provided the Predator effects, adding new weapons, colors, and facial details to the deadly alien hunter. The history of the Predator in video games is almost as expansive as the comics and novels. Starting with 1987’s Predator on the NES, the games evolved over the decades to keep up with the latest gaming technologies and trends. Several Predator games were released on Super Nintendo, PC, Atari, and Arcade that tied in with the first two films. Various Alien vs. Predator games were also released, but things took a monumental turn in 1999 with the PC game Aliens vs. Predator. This game, along with its sequel and expansion packs, has been hailed as one of the most dynamic and suspenseful titles of the entire First Person Shooter genre. The last major console game to be distributed for the AVP franchise was released in 2010 for the PC, Xbox 360, and PlayStation 3 systems. 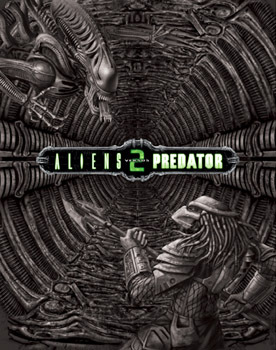 Other major Predator games included 2005’s Predator: Concrete Jungle as well as a collection of mobile and online games. The hunter has also appeared in Call of Duty: Ghosts, Mortal Kombat X, and Tom Clancy’s Ghost Recon Wildlands. Though Peter Briggs and other screenwriters had written their own AVP scripts in the 90s, it was Paul W.S. Anderson, director of Event Horizon and Resident Evil who brought the slimy brawl to the silver screen in 2004. He had tinkered with an idea about Aliens, Predators, Antarctica, and ancient civilizations for years, and when Fox green-lit the project, it was clear from every interview with the filmmaker that this was, for him, a project of passion. Regardless of how one feels about the toned down, PG-13 mash-up of two of sci-fi’s greatest franchises, Anderson’s excitement over his dream project was apparent in every frame of the movie. 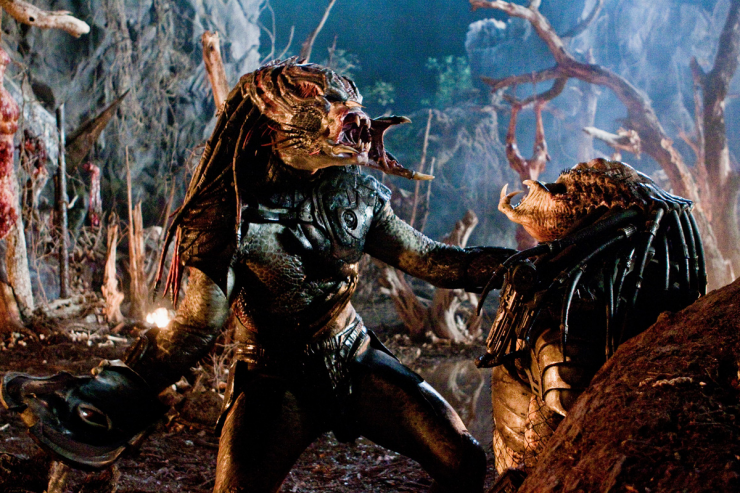 Though the film received mixed reviews, it brought in enough money to warrant a sequel in 2007, AVP: Requiem. This film was even stranger than the first, with a Predator hunting down a brood of Aliens in a sleepy Colorado town. Directed by the Brothers Strause, AVP:R certainly had its moments with style and action, but it received an even worse response than the first AVP due to its writing and its excessive use of monster-obscuring night scenes. A third film is rumored to have been in the works for the past decade, and only time will tell if it ever comes to fruition. Perhaps Fox will focus on the source material of the comics and bring the monsters’ war back where it belongs- outer space. In a nod to one of the Xenomorph films, James Cameron’s Aliens, director Nimrod Antal made a movie called Predators. Robert Rodriguez served as executive producer. He had written a script in 1994, but the budget was too high at the time to begin production. His script was rewritten by Alex Litvak and Michael Finch, with Rodriguez and his Trouble Maker Studios retaining much of the creative control of the film. 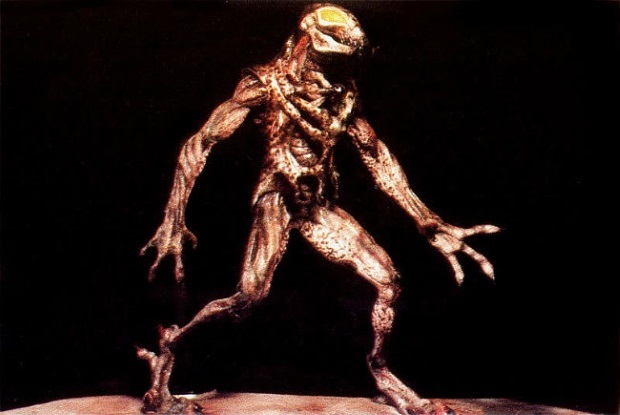 Featuring what is arguably the best cast in Predator movie history, this one featured concepts from the expanded universe, including separate Predator species, with one being larger and stronger than the other. Animals from the Yautja home world such as the Hell-hounds were also featured. Shane Black, who played Hawkins in the original Predator and went on to make Iron Man 3, Lethal Weapon, and several buddy cop movies, has resurrected the franchise for 2018. Though the film has so far been polarizing to fans and critics, no one who has seen either the trailers or the movie can say that it isn’t an exciting thriller. 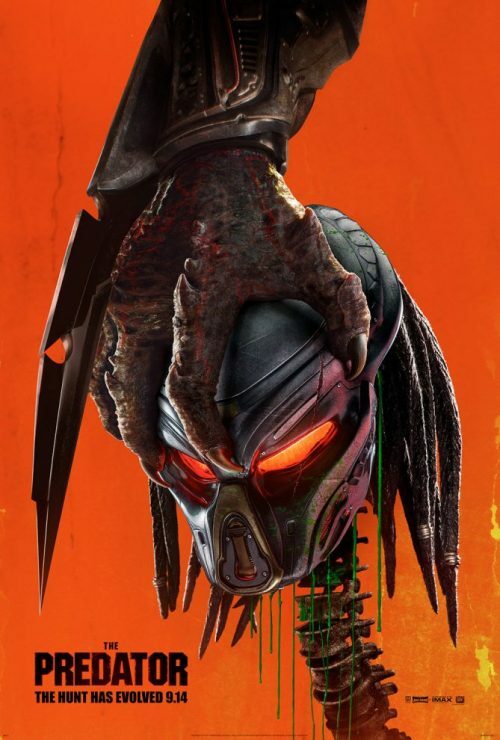 Laced with comic relief, multiple plot lines, and upgraded creatures, The Predator is a story about soldiers, the government, and scientists teaming up to fight (or communicate with) the deadliest creatures in the Universe. Starring Olivia Munn, Sterling K. Brown, Keegan-Michael Key, and Boyd Holbrook, the film is now playing in theaters across our planet (game preserve?). Which Predator title across all of media is your favorite? Let us know in the comments, and don’t forget to Let Your Geek Sideshow! Full-Length Trailer for Mary Poppins Returns, First Look at Joaquin Phoenix as The Joker, and More! Marvel Debuts First Captain Marvel Trailer, 70th Annual Emmy Awards Winners, and More!